This year’s Habitat for Humanity house is a concrete masonry framed home with a stucco exterior that looks like horizontal siding. 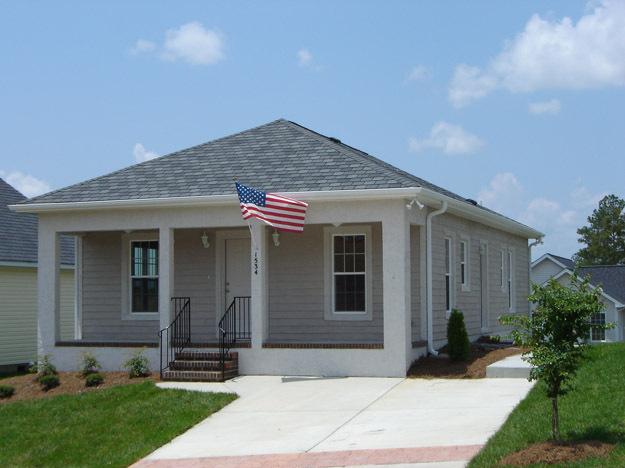 The home utilizes the latest Powers Steel lintels and window sills, foil-faced roof sheathing and a sealed crawlspace. Add in a lot of hard work by our dedicated suppliers and subcontractors, and the final result is an Energy Star certified home that our Habitat family will appreciate and enjoy for years to come! 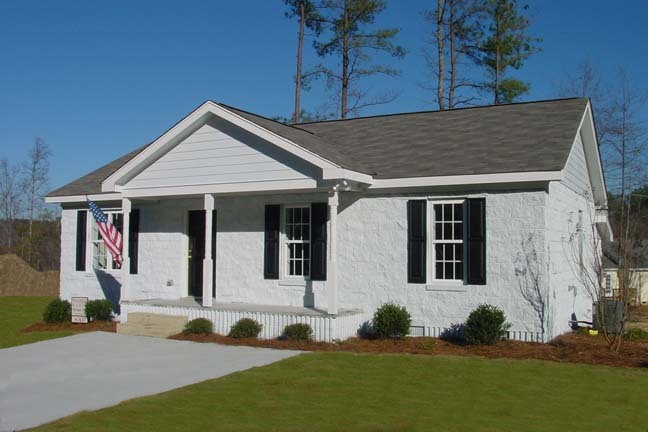 The Builder Blitz 2003 home combines fluted block for the foundation and split face block for the exterior walls to create a very quiet masonry framed home.